Take your car through one of our self-serve bays! 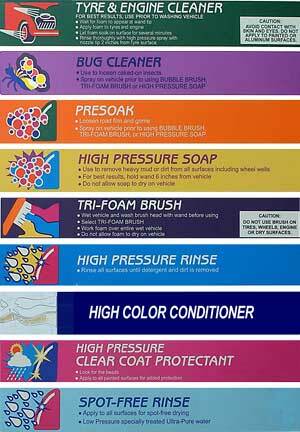 You can have a quick rinse or better still, use all the steps and functions to drive away in a shining clear car. And you can pick from many goodies we offer, check them out. Dont't feel like doing it yourself? You can drive your car through Laserwash, or better still, take your car to be professionally cleaned by out Valet Service. You can book Valet Wash online!